WELCOME, I’D BE HONORED TO HELP YOU! I want you to be empowered by hope, hope that you can heal so your life will get better. My approach is to find and address the root cause of your challenges and to use food as medicine plus targeted nutritional therapy to help you heal and live your best life. In addition to truly listening to your concerns and goals, my skillset includes utilizing clinical testing, which provides me with valuable insight into the functions of your body so that I can develop a nutritional protocol specifically tailored for you. Mood swings, hot flashes, night sweats, headaches, insomnia, weight gain, digestive issues, low libido and/or overall dryness? I’ve been there! I understand that you may be confused and are feeling alone by the changes to your body because as women, we don’t usually learn anything about menopause until we are in it. Instead, this time can be one of the most exciting in your life, let’s get you there! 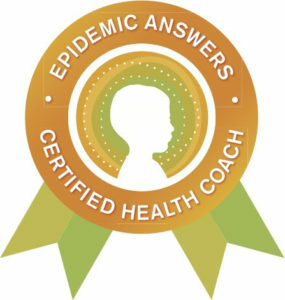 Customized nutritional support for your child struggling with ADHD, anxiety or other challenges such as behavioral issues, depression, and digestive distress. I relate to these challenges and can help you help your child! I am an athlete myself and raised 3 sons, two of which were wrestlers who required a very customized protocol. After 10 years of tweaking, it became an art form! Proper fueling of your body will support you in your sport and in every aspect of your life! “As a mom, I highly recommend Holly if you are having a difficult time figuring out what’s wrong with your child’s health and what to do next. At the time Holly was recommended to us, we’ve been seeing a third naturopath in efforts to figure out how to help our child with eczema. Our child was on an extremely limited diet as he was reacting to almost any food. Due to the extremely limited diet, he also started having diarrhea that lasted for a month, and neither our pediatrician nor our naturopath could give us an answer on how to stop it. Holly was checking in with us every day and was the one who solved the problem! She also suggested a variety of therapies and alternative approaches to try, which we did and started getting results. 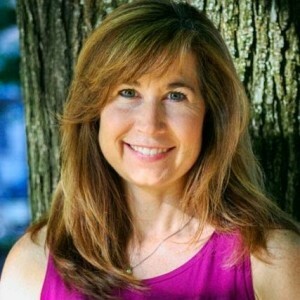 She is a caring and knowledgable practitioner who approaches a problem holistically. I am very happy that we have Holly as a great resource “under our belt”! 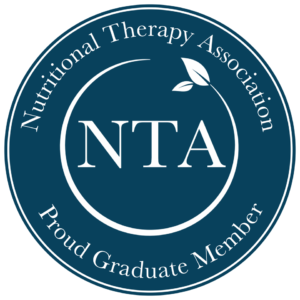 I would highly recommend Holly M. as a Nutrition Therapy Practitioner. She truly cares for her clients and works extremely hard helping them find health. She is extremely knowledgeable about GI issues, which we all know is the foundation for good health. Her passion for health is evident in the time she spends and care she takes working on each case. I credit her for helping over come 3+ years of terrible GI issues that no one else could even remotely touch. She is patient, determined and encompasses all the traits you would want in a healer. That is what she is…a healer, and I am forever thankful and blessed to have had her be a part of my healing journey. Starting my journey with Holly was the best thing I could have done for myself. It has been a long process but I am so pleased with how far I have come and the quality of life I now enjoy. 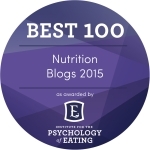 Holly has helped me to rebalance my eating and heal my gut. My digestive issues were so severe when I came to her that there was no pleasure left in eating at all. I can now say I truly enjoy food again and no longer find myself scared of my reactions. My female issues, which turned out to be an undiagnosed auto-immune issue, are also significantly better. Through healing my gut, working on stress, implementing vitamins and minerals, and many other steps I am now off all medications. I sleep through the night and am no longer plagued with fatigue. I no longer suffer with weekly tension headaches, neck pain, or back pain, and have lost a total of 40 pounds. Most of all nutritional balancing and working with Holly gave me my life back, and for that I am truly grateful. Where do I even start? At the time of meeting Holly, I was a 6 year cancer survivor and I had had at least 10 surgeries in my life time; the majority of them being within the last 15 years. To say my body was out of whack was an understatement. I discovered Paleo eating on my own almost a year prior to meeting Holly and since working with her, I have learned so much with regard to the food I am eating, the trauma my body has been through and the steps to push toward a truly healthy me. Because of this healthier lifestyle, I have even been able to cut back on my anti-depressant pills, which I NEVER EVER even thought was a possibility. I spent 5 years after cancer feeling so awful and tried Paleo as a last ditch effort. With Holly helping me kick my journey up a few notches with nurittional balancing, I have started feeling fantastic again, I have energy, my seasonal allergies are all but gone, most evenings I sleep great and I like myself (huge for me)! I still have a way to go to get my body back into tip top shape, but Holly has been an amazing source of help to get me where I am currently. I have learned so much and have found such a passion in this area, that I am going to go to school to get my NTP also so that I can help people discover that they do not have to live in pain and despair anymore….the same gift that Holly has given me. Holly’s passion for health is inspiring and the generous way she shares her knowledge is heart-warming. I learned more about digestion and my specific digestive issues from Holly than from any doctor I’ve been to.